"On the Record: Flicker" will contain interview and acoustic rehearsal footage, as well as a look into Horan's creative process, according to Billboard. On Oct. 19 Horan will host a fan screening in Los Angeles, including a concert with some of his new songs. 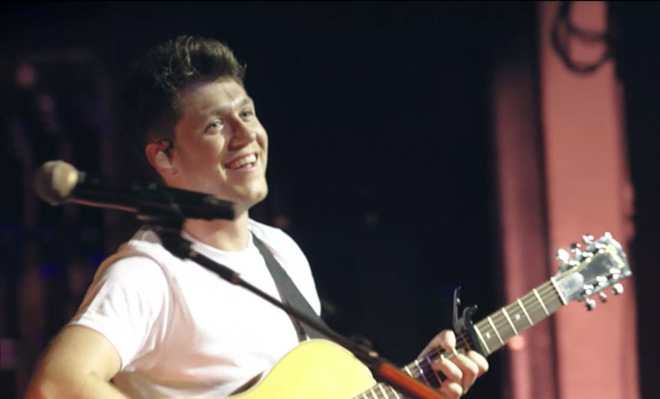 Horan's approach mirrors that of a fellow One Direction member, Harry Styles, who put out his own making-of video for Apple Music on May 15, likewise promoting a new solo album. One Direction is on an extended hiatus —rumored to be permanent —while members pursue solo projects. Apple has released a trailer for the documentary, which shows that it will also contain concert footage. The pivot to original video on Apple Music has so far concentrated on documentaries, with "Planet of the Apps" and "Carpool Karaoke" being notable exceptions. The company is expected to spend $1 billion during the next year on higher-quality shows, modeled after series like "Breaking Bad" or "Game of Thrones."